Monday, March 7: Auditions for Norwegian Cruise Line through Daryl Eisenberg’s office. Wednesday, March 9: More auditions for Himself and Nora through Geoff Josselson’s office. 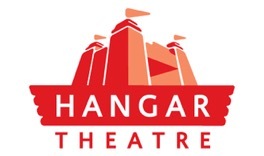 Thursday, March 10: Auditions for The Hangar Theatre through Michael Cassara’s office. My dear friend Michael Barakiva has recently taken over as the interim artistic director, so I am happy to be helping out in this capacity. Friday, March 11: Final auditions for Himself and Nora through Geoff Josselson’s office. Monday, March 21: Auditions for Sousatka through Arnold Mungioli’s office. Wednesday, March 23: Auditions for Do I Hear a Waltz? for Encores! through Jay Binder’s office. Wednesday, March 23: Auditions for Bye, Bye Birdie for Goodspeed through Paul Hardt’s office. Thursday, March 24: More auditions for Himself and Nora through Geoff Josselson’s office. Friday, March 25: More auditions for Sousatka through Arnold Mungioli’s office.